Gerarda Westerhuis is researcher at the Department of History and Art History, Utrecht University, and lecturer at Rotterdam School of Management, Erasmus University. In April 2013 she started her new research project (veni grant), entitled “Unraveling the origins of a banking crisis: changing perceptions of risk and managerial beliefs in Dutch banking, 1957-2007.” As part of the research project on Business in the Netherlands in the 20th century she published a book on the corporate governance and financing of business in the Netherlands during the 20th century. She is co-initiator and coordinator of an international project “The power of corporate networks: a comparative and historical perspective”, which results in a book published by Routledge. Gerarda obtained her PhD from Utrecht University with a dissertation on the expansion of Dutch banks and insurance companies to the United States, published under the title “Conquering the American market”. She worked in different business environments such as ABN AMRO, Rabobank and Nationale-Nederlanden in the period 1965-2005. She also holds an MA in Social and Economic History from the University of Groningen, and worked for three years as a project manager in the Marketing department of Fortis Bank. In short, her research focuses in particular on banking and elites. She combines theories and methodologies from economic and sociological sciences applying the long term perspective of a historian. She makes use of large data sets, in-depth archival research, and interviews. Arjen Mulder and Gerarda Westerhuis (2015). ‘The determinants of bank internationalisation in times of financial globalisation: Evidence from the world’s largest banks, (1980-2007)’, Business History. Matthias Kipping and Gerarda Westerhuis (2014). “The Managerialization of Banking: From Blueprint to Reality”. Management and Organizational History. Matthias Kipping and Gerarda Westerhuis, ‘Strategy, Ideology, and Structure: The Political Processes of Introducing the M-form in two Dutch Banks’, in Steven J. Kahl, Brian S. Silverman, Michael A. Cusumano (ed.) History and Strategy (Advances in Strategic Management, Volume 29), Emerald Group Publishing Limited, pp.187-237. 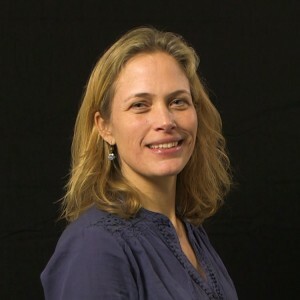 Gerarda Westerhuis (2011). ‘Multinationals en het managen van buitenlandse dochterondernemingen. een historisch onderzoek naar de relatie tussen ABN AMRO en LaSalle’, Tijdschrift voor Sociale en Economische Geschiedenis (TSEG) 8:1, 83-110. Mitchell J. Larson, Gerhard Schnyder, Gerarda Westerhuis, and John Wilson (2011). ‘Strategic responses to global challenges: the case of European banking, 1973-2000, Business History 53:1, 40-63. Abe de Jong, Ailsa Roell, and Gerarda Westerhuis, ‘Changing national business systems: corporate governance and financing in the Netherlands, 1945-2005’, Business History Review 84 (Winter 2010): 773-798.